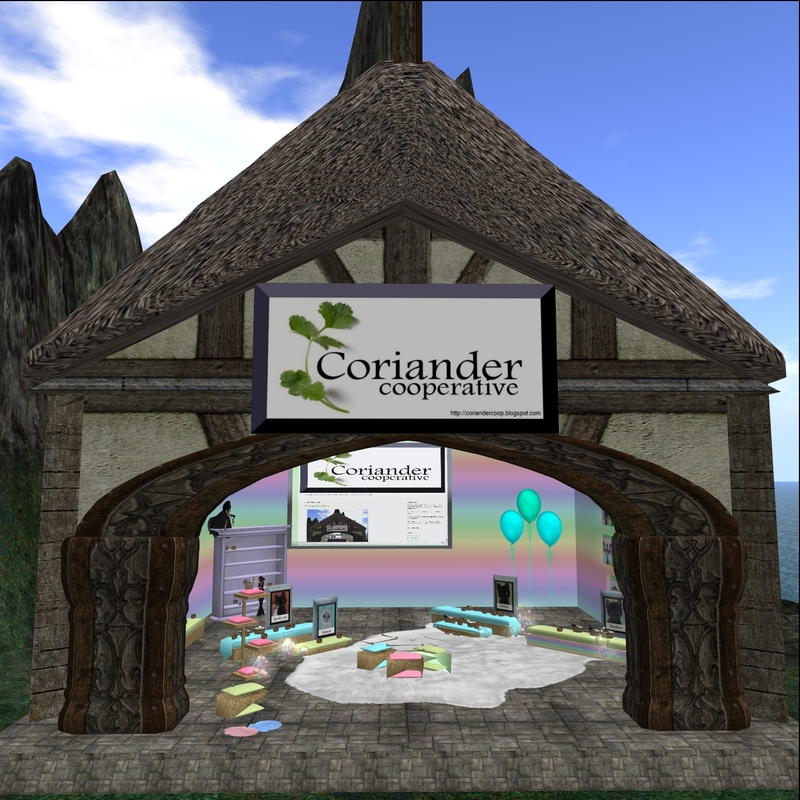 A Second Life Stint: Coriander Cooperative Mainstore is Open! And I am sleepy. I should stop blogging on Mondays. I mean, blogging on Mondays used to be a cheer from the worst day of my week. Nowadays my brain, if I have any left, is just dead on this day. Here's a picture of our shop. What? I am a vampire!